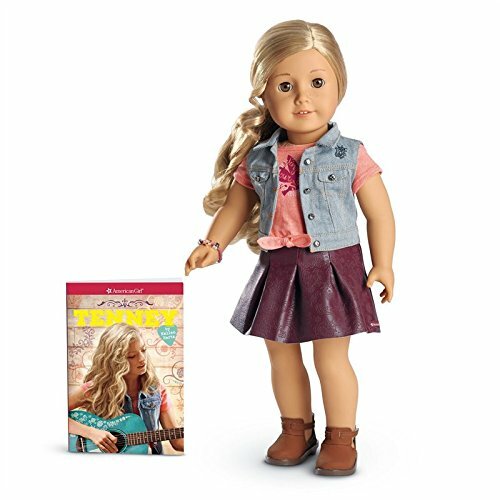 The 18" Tenney doll has light brown eyes that open and close, freckles on her nose, and long, curly blond hair. Tenney's unique hand positioning helps her hold her guitar, banjo, and pick! She arrives in a graphic tee, denim vest, faux-leather skirt, and ankle boots. Also included are a woven bracelet and the Tenney paperback book. Tenney's unique hand positioning helps her hold her guitar, banjo, and pick! Also included are a woven bracelet and the Tenney paperback book.